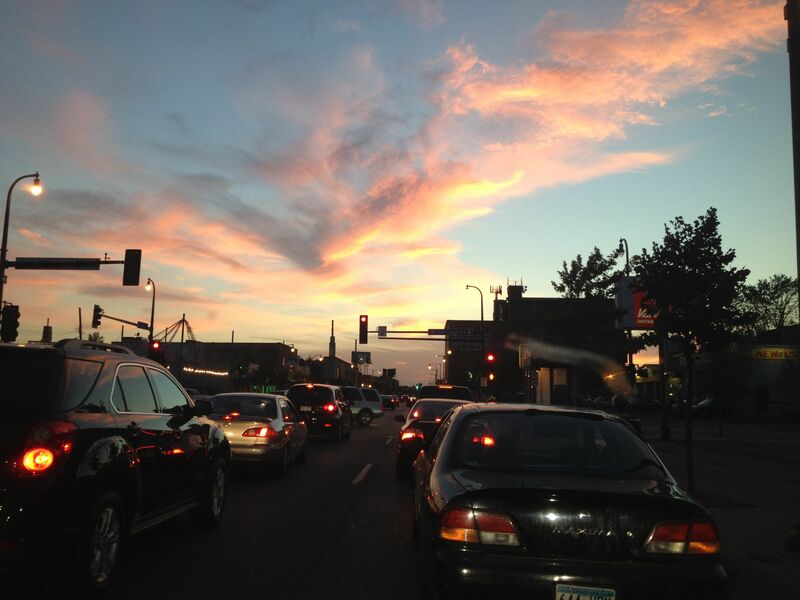 Photo taken on Monday night driving home from Lake Street in Southwest Minneapolis. Monday night I went to an inspiring book signing at the Global Market near Lake Street. It was an amazing event which I’ll share more soon on thirdeyemom. As I drove home, the sunset seemed to reflect what an inspiring evening it was. I snapped this picture through my car window using my iPhone. It clearly represents a day in the life of a “thirdeyemom”. To read more entries to this week’s photo challenge, click here. What camera did you use to produce such a high quality picture? I want to take picture like that too. Such a beautiful sky (and traffic jam :)) for your everyday life. Nice. This is funny but this photo was taken with my iPhone outside of my car window! Normally I use my good camera for shots but I enjoyed this view and my iPhone was all I had. This is amazing, I am glad I found you. Your camera takes wonderful photos.